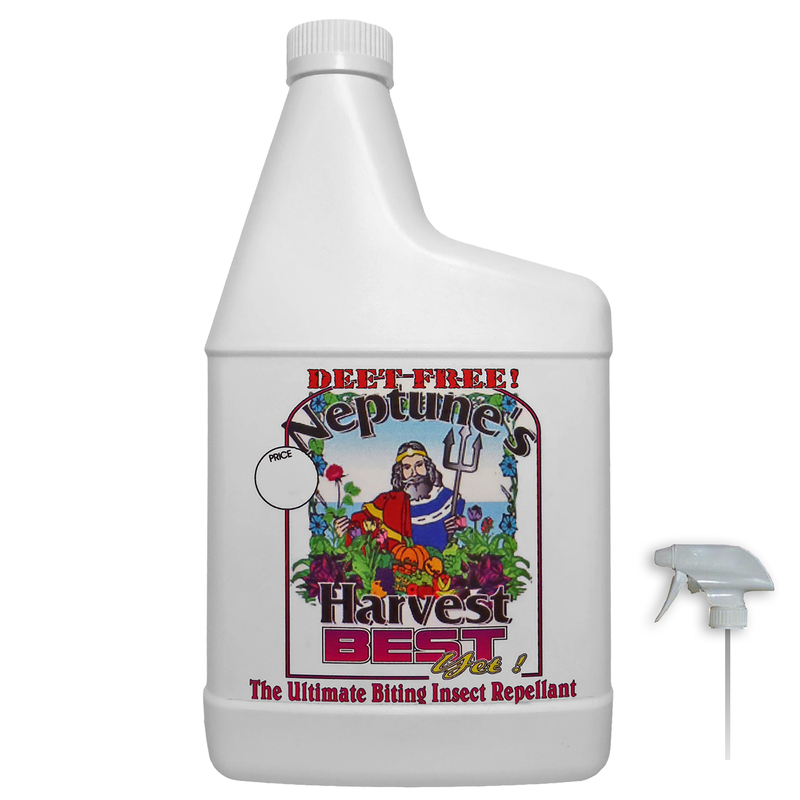 Neptune’s Harvest Best Yet biting insect repellant is the ultimate in personal relief from Mosquitoes, Fleas, Flies, Ticks, Green Heads, Chiggers, No-See-Ums and Gnats. A light misting application of this Cedar Oil Solution will provide all day protection. It will not sweat off like DEET products or other natural insect repellents. Best Yet can be used on children of all ages and animals of any kind. It can be applied directly to the skin or over clothing. It is clear and non-staining and will leave the skin with a clean smooth and refreshing feel not found with aerosol repellents. Best Yet can be used around the house to control those difficult insect invasions by Scorpions, Roaches and ants (sugar / pharos). It brings instant death to fleas, chiggers, lice or other targeted insects. Also used for the eradication of Head Lice. A quick shot on the target insect or its nest will result in immediate death to the insect. 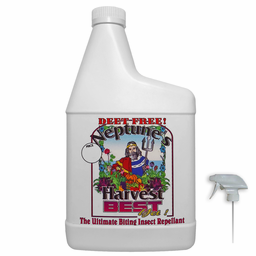 This non water base treatment will provide a barrier of entry against insect pests. Best Yet is considered a Minimum Risk Pesticide (25b) by the EPA and is formulated with FDA food grade ingredients and Cedar Oil. Safe for Children and Pets. DEET free! *Manufacturer's correction, the inert carrier is 90% Hydrated Silica, not latex.